You can register today for classes! Have you ever wanted to learn to play music in a welcoming group setting? It’s a fun way to unwind and energize while meeting new friends! No need to own a drum. 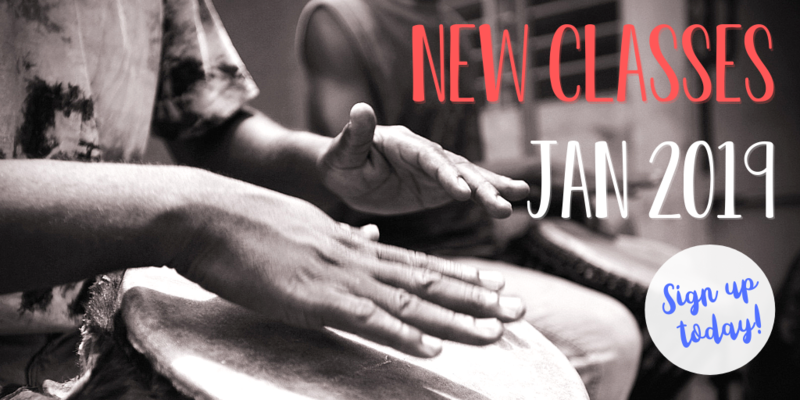 Join our Percussion Ensemble Class! Weekly classes - Join any time! ​Click here for details and registration. Check out this video of nine year old Yoyoka playing drums to Led Zeppelin... It's the same groove as one of the African rhythms we are learning on Thursday evenings!! A chance to immerse yourself in rhythm – a musical vacation through rhythms from around the globe! Learn drumming from West Africa, Latin America and beyond - Held during the Easter Long Weekend. Many options to try. 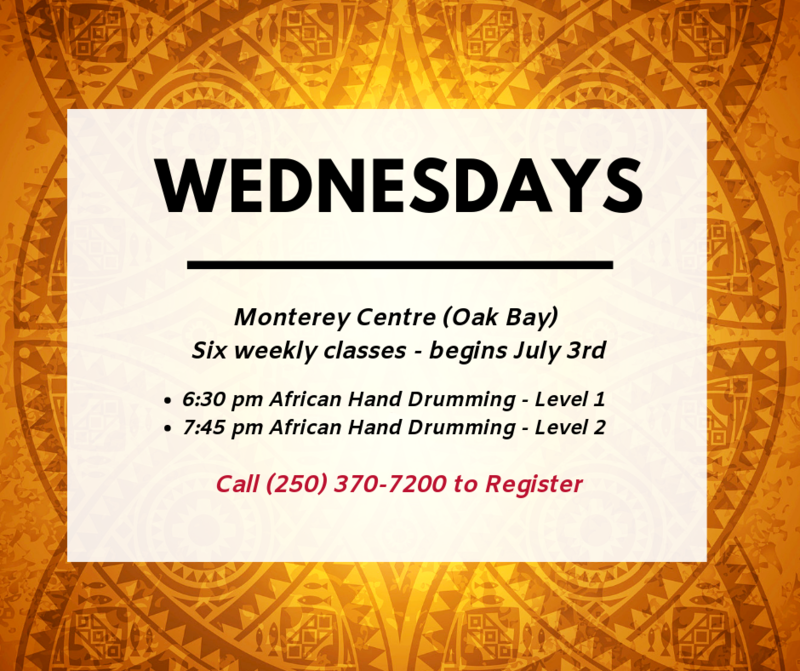 ​Beginners welcome and drums are provided. 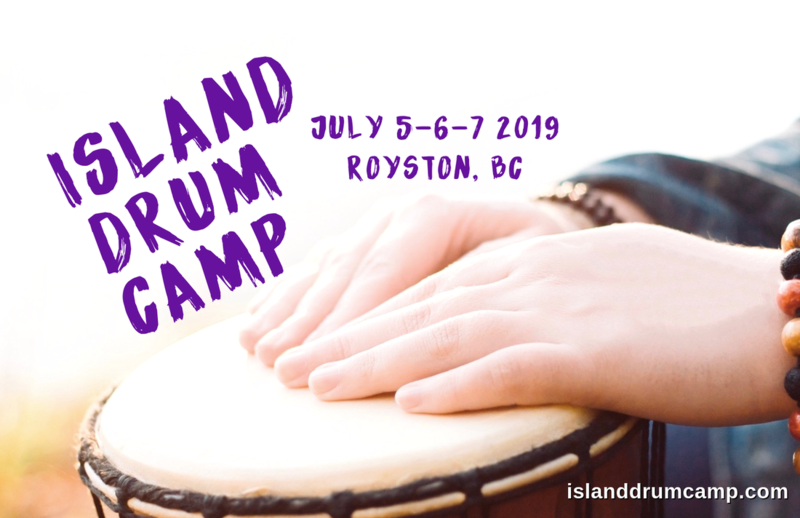 ISLAND DRUM CAMP - a drumming extravaganza… Three days of drumming workshops in the beautiful Comox Valley (Royston Community Hall). 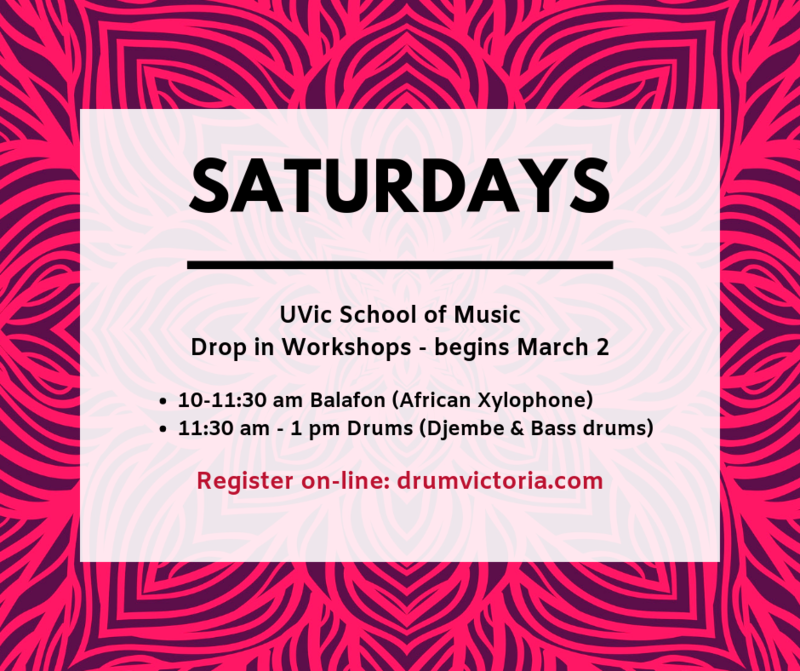 Learn from expert World Beat instructor Jordan Hanson from the University of Victoria’s School of Music. You are welcome to mix & match workshops - take as many or as few as you would like. 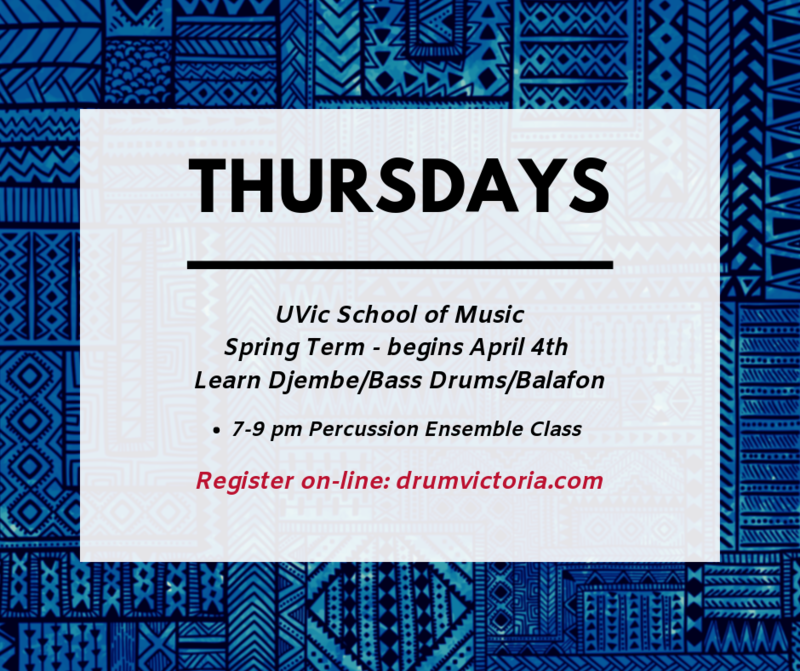 Drums are provided for everyone for free for the classes, so you don't need to own anything in order to get started. Total beginners are welcome... you have come to the right place to get started! Please click here for information about weekly classes. Saturday Morning Drop-in Workshops at UVic. ​Cost is $29 per workshop, or just $40 for both workshops on the same day. Or... take the Super Package Deal - all 10 workshops for just $179 (Save $111 - WOW). 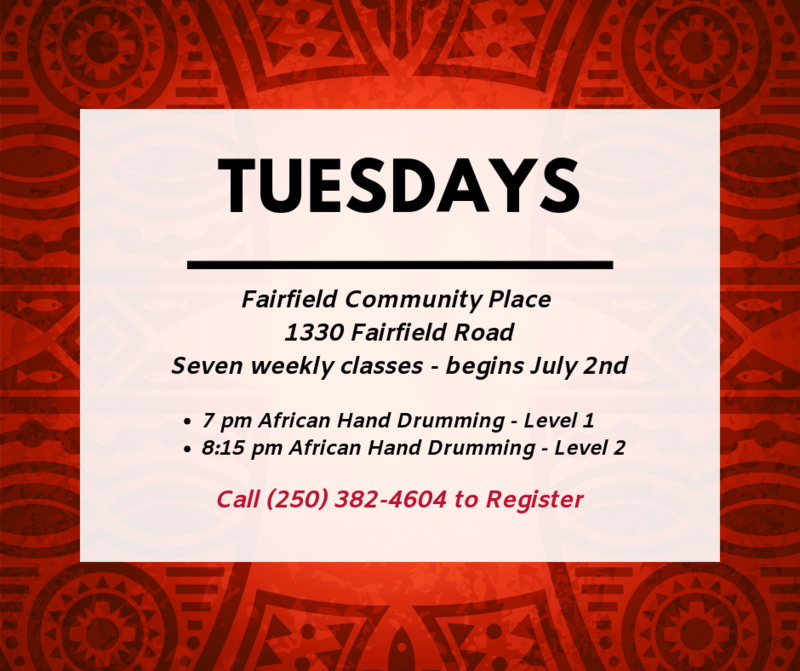 Drum Victoria offers fun classes in many styles of drumming. Beginners are welcome and drums are provided for free. In Victoria, we have taught more than 10,000 people how to play hand drums! You might also be interested in our group drumming experiences for schools, companies, fundraisers and non-profit organizations. We also host concerts and workshops with some of the world's finest percussionists and contemporary musicians.